AIMES Grid Services is helping to put Liverpool at the forefront of digital innovation within the transport sector with a trio of collaborative R&D projects which have won the backing of the Technology Strategy Board and several high profile partners. The three projects seek to demonstrate the potential of mobile technologies and intelligent cloud services and infrastructure, such as the Internet of Things (IoT), to address the challenges facing the UK’s roads, rail networks and ports. The Internet of Things is the connected world that results from networked devices being able to sense and interact with other networked devices and for that connectivity to be integrated into everyday “things” including cars, trucks, trains, clothing, medical devices, electrical appliances and smartphones. AIMES is leading on the delivery of the projects which involve partners ranging from application developers from across the Liverpool City Region and local transport operators, such as Merseyrail and JMD Haulage, to international players including BT and the European Space Agency (ESA). 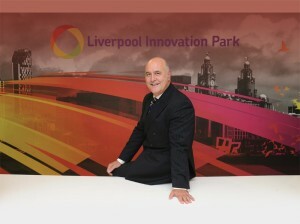 Dennis Kehoe, chief executive of AIMES Grid Services, said: “Liverpool has a rich heritage as a global transportation hub and these projects continue this tradition by exploring how the latest digital technology can help to relieve the transport issues of the modern age, such as effective management of urban congestion corridors. AIMES successfully secured funding in the region of £4m to finance the projects which began in April 2013 and run through to 2015. 2013 has been a successful year for the company with the launch of its second data centre facility, Kilby House, which was voted Private Sector Project of the Year by the readers of a leading data centre industry publication. AIMES was also unveiled as one of the ACCELERATE 250, an exclusive group of Britain’s fastest growing companies. Part of the firm’s recent high growth has been fuelled by the award of several new commercial contracts with organisations including the Liverpool Heart and Chest Hospital NHS Foundation Trust, Merseyside Fire & Rescue Service, Sportech plc and Medicash. Commenting on the progress of the business over the past twelve months, Professor Kehoe, who sits on the Board of the Data Centre Alliance, said: “The Kilby House data centre was designed to enable the provision of technical services at highly competitive rates. i-MOVE: AIMES leads a consortium consisting of BT and four specialist companies; PLACR, White Willow Consulting, Traak and Avanti to deliver i-MOVE, which is focused on Transport and Logistics around the City of Liverpool and its port. i-TRAC: AIMES leads a consortium comprising BT Research, Containerport Ltd, Glow New Media Ltd, Freightliner and Merseyrail to deliver this project will create an open access and interoperable platform upon which a number of applications will be created to improve both the operations and customer service for Train Operating Companies and Freight Operating Companies. i-Port: AIMES led a consortium consisting of Container Port, Avanti Consulting and DMCii to deliver this project which explores the role and added value of space assets into the optimisation of freight transport through European ports.